Posted by thejinx in site. I put up a portfolio of some of my best art, photos, and writing here, for those interested. Follow the link up top or along the sidebar to have a look, and as always, visit the website for more. Posted by thejinx in books, site, writing. I don’t recall now why precisely I was searching for recommendations of steampunk novels online. I am looking for some good examples to read as I hope to delve into the genre with a novel in the works, but I don’t know why it came to mind this afternoon. I ended up spending the rest of the afternoon at work reading The Aldersgate Cycle, a blog I found about a steampunk novel in the works. It ended up being a surprisingly compelling read, not least because it was a working copy of steampunk and the thought processes involved with it. But what really drew me in was the author’s attitude. It was so wonderful to read that blog because she’s passionate about writing; it’s not a job, it’s not for fame or glory, it’s just to tell a story. It really inspired me, those simple, often not directly related posts, simply because I could feel her love of writing in what she said. It also reminded me of the great part of sharing writing on the Internet. I loved getting the direct feedback I got by posting The Fire Within on my website and Fictionpress. It felt good just knowing that people were reading my work. I miss that. At the same time, I know that if I do get published, a lot more people will read my work, and I am always hungry for recognition. It’s a conundrum. Of course, I don’t have to stick with publication for everything I write even if – when – I get published, but it’s hard to look at a story and say, this one is fine just for self-publication or what have you. If anything, Aurius is the least of any story I’ve ever seriously contemplated writing to consider for mainstream publication, and yet it became what I want to be my debut novel. What are the qualifiers to say another story is not worth that? Should I stick with a smaller, less formal audience for a story because it’s not as deep or emotional as some I have in the works? I don’t see why that should make a difference. The long and short of it is that I love to share my work. It’s so easy to do that online, but of course, the audience becomes limited that way. I had thought about sharing an excerpt from Eyes of a Dragon here, but now I’m even a little leery of that since I was told that some publishers don’t want any part of a manuscript published before they receive it. Oh well. There’s no reason for me to be concerned about it yet. I still have a good long ways to go with Eyes, and I know I want the bigger audience of traditional publication with that. The nearest point I have to be concerned with this issue is with the novel I shall write for NaNoWriMo this year, and of course, I have to make it to 50,000 words first. I received an e-mail today from one Simon Owens with a link to an article he wrote about the marketing effectiveness of Tor books offering free ebooks through the mailing list on their new website, so I thought since he was nice enough to e-mail me personally, I thought I’d pass along the link. I signed up for the mailing list some few months ago since I am all about free books – and incidentally, I highly recommend you do the same if you have not already. The shocking coincidence of this is that I happened to stumble across that very article earlier today before I had any idea that he had sent me the link. 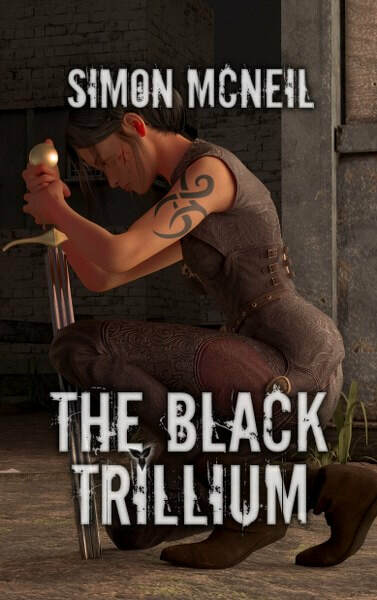 And speaking of free books from Tor, I just finished another yesterday. In the Garden of Iden, Kage Baker – This is a bizarre tale that begins in the future and ends in the past, a story about technology discovering the keys to time travel and immortality and how the company that created the technology set up secret bases in hidden places throughout history to protect historical relics and endangered plants and animals from extinction. The novel follows the first assignment of a young girl recruited to the company from the dungeons of the Spanish Inquisition in the mid-sixteenth century, and the sordid tale of love and rare plant preservation that results when she’s sent to England during the tumultuous reign of Queen Mary I. The first chapter of the novel provided a powerful hook; as soon as I opened it there was a strange and fantastic world full of potential written by the lead character Mendoza as a retrospect. The writing was fresh and slightly cynical, painting a sharp portrait of a believable character who’s lived about a thousand years. The mixture of science fiction and historical drama was well balanced throughout Mendoza’s assignment in England, doing a very effective job of bringing the reader into a very real past while keeping the highly advanced technology the main characters possess at the forefront of their experiences. There are times when Mendoza made me want to roll my eyes a little, but she herself admits as she writes it that she was young and naive. The story was interesting, and being a fan of Medieval society – though this was more pre-Renaissance, I liked it just as much – I enjoyed the attention to detail in regards to the daily life in Kent. While it wasn’t the best thing I’ve ever read, it was an absorbing read and well written. It’s not an instant favourite, but it was certainly engaging, and I am curious to know what becomes of Mendoza later on in her long life. If you see it, it’s worth a read. As a final note, I finally customized the sidebar a little bit. Criminy, but I can waste so much time on this thing.